Below is a rush transcript from "Your World With Neil Cavuto," November 13, 2009, from Fox News. The embedded video of the interview is below. NEIL CAVUTO, HOST: Well, they're coming here, and let's just say Rudy ain't happy. Welcome, everybody. I'm Neil Cavuto. The self-proclaimed mastermind of 9/11, Khalid Sheikh Mohammed, and four alleged co-conspirators are being brought back to New York to stand trial with the shadow of what once was the World Trade Center. Attorney General Eric Holder defending that decision today saying: "They should be tried where their crimes occurred. And we're going to be getting reaction from a 9/11 family member in a moment. Someone who is not too happy with this decision. But first, to Rudy Giuliani himself in this exclusive chat. The former New York City mayor was among the first responders to those Sept. 11 attacks. Joins me right now with a reaction. RUDOLPH GIULIANI, FORMER NEW YORK CITY MAYOR: I think this is a very dangerous decision, and an irresponsible one. And one that is absolutely unnecessary, meaning if Khalid Sheikh Mohammed couldn't be tried anywhere else but in New York, then of course, New York would handle it and do it. New York is already a target for terrorists. We announce that every day and talk about it every day. To add something unnecessary to that makes no sense. And the president has made a, I believe, irresponsible decision. And finally, this was an act of war. And one of the things I thought we learned from September 11th was that we were in a state of denial before Sept. 11. We — we went through this once before — 1993. We had people — terrorists — attack the World Trade Center. We did not recognize it as an act of war. We tried them in the Southern District of New York. It did no good. We were attacked in Africa. We were attacked at those embassies in Africa. We were attacked on the USS Cole. And then we had the worst attack in our history, and I hoped and prayed from that day on it would be the last Islamic terrorist attack in our history. And it was not the last, because a week ago we had another Islamic terrorist attack on our soil. And why this administration has trouble figuring that out when the man yelled out, "Allahu akbar," when he was murdering people, as a former prosecutor I find frighteningly incompetent. CAVUTO: Obviously, they must know in advance that even doing this on our soil and in New York is — is going to be a provocative action. CAVUTO: So on that level alone, what do you think? GIULIANI: Because the — they have — they have elevated to a point of I believe irrationality process over safety. I mean, they're — this was a — an act of war by Khalid Sheikh Mohammed and his co-conspirators. They attacked us like Pearl Harbor. And this may be a different kind of enemy, but it's just as dangerous, just as insidious. And this should be treated as an act of war. President Bush recognized that. We went through a decade or so of not treating Islamic terrorism as acts of war. Bin Laden declared war on us, and we didn't hear it. We were in a state of denial before Sept. 11. Except at least before Sept. 11 the administrations that existed then didn't have the experience of Sept. 11. But I believed once Sept. 11 happened, Republican and Democrat would never go back to where we were before in that foolish state of denial. A nation that cannot face its enemies is a nation that's in danger. GIULIANI: Well do you think of the vagaries of the criminal justice system? I mean, you're going to have motions to dismiss the case. They're going to have motions for change of venue. I mean, you want to think of a place where you — where you — better than New York where you couldn't get a fair trial for the people who attacked the World Trade Center? It was the biggest news story of the decade — one of the biggest of the century. I had a case — much less publicity — involving corruption in New York City in 1986 that got so much publicity that venue had to be changed to Connecticut where I had to go try it personally. That case got one tenth of the publicity that this case got. GIULIANI: That is their obligation. CAVUTO: Could they also — they could also throw this out on a technicality, right? CAVUTO: What would you throw it — what would throw it out? CAVUTO: But I mean, this would then become a case not so much about Khalid. It would be about what he endured. Again, am I right? Then they turn it around, right? GIULIANI: Don't you think the activists are going to use this? I mean, the United States government is going to try to put Khalid Sheikh Mohammed on trial. The defense lawyers are going to try to put the United States government on trial. CAVUTO: But are they really going to be putting George Bush on trial? GIULIANI: Maybe somebody should note that it only happened after he left office on our soil, and that our administration is still having difficulties days later figuring out that this was an Islamic terrorist attack. Bin Laden has instructed people to carry out legalist attacks like Hasan carried out. It is right in their game plan. The almost — almost attack on Fort Drum was a — was a — was such an attack. Not necessarily ordered, but carried out in the name of the Jihad. That's precisely what Hasan did. It doesn't take a genius to figure it out. CAVUTO: So let me ask, when your successor, Michael Bloomberg, says, "I support the Obama administration's decision to prosecute the 9-11 terrorist here in New York. 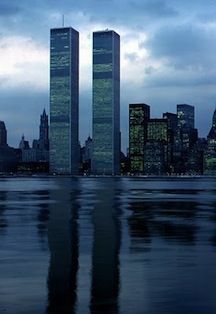 It is fitting that 9/11 suspects face justice near the World Trade Center site where so many New Yorkers were murdered. What do you make of that? GIULIANI: I disagree with it. It is fitting that the 9/11 murderers be treated as war criminals, because it was an act of war. This was not just another murder in the City of New York that year. This was an act of war, and an act of terror. They should be — they should be prosecuted — they should be prosecuted in a military tribunal. CAVUTO: Well, what do you mean by that? GIULIANI: Well that I mean is everybody is more concerned with the — with what people are going to think of us. What the rights of terrorists should be. And believe me, in a criminal trial, the rights of terrorists are more important than anything else. I mean, we — we — our criminal justice system is geared to let guilty people go free if there is any doubt. That's the way it is — better — better to have nine guilty go free than one innocent person convicted. Very different situation when you're at war. So when we see all of these procedural problems that are going to be created over the months and years that this could take with these terrorists sitting here, I think we're going to realize that this was a terrible, terrible mistake. CAVUTO: ... and New York becomes a target all over again. CAVUTO: This just heightens it. GIULIANI: And these things are necessary, and to some extent out of our control. Why take a risk with another one if you don't have to? And explain to me why you have to, when he could be tried as a war criminal in Guantanamo? CAVUTO: ... you left all your — right. You've left your other options out. And so now, once that's a given — I know you don't agree — then this becomes a given. GIULIANI: Well maybe it shows you why that was a very big mistake. And — and what happens if the defense decides to make a motion for change of venue to another part of the country? A judge can deny that or grant it. A judge can deny it. You can go to trial. You can get a conviction. And an appeals court could decide it was error and we got to go through the whole thing all over again. CAVUTO: And then — and what happens in that event? GIULIANI: That case then — then less than all of the evidence will get presented to a jury. So it may look like somebody's innocent who's actually guilty. GIULIANI: Do we like guilty people? CAVUTO: ... inhibiting factor that — that — what happens? That — then the guy gets off, right? CAVUTO: Understood. But Mayor, if — if he were acquitted, that means walking around getting pretzels in Manhattan? GIULIANI: Well then — then his civilian lawyers, who probably are going to volunteer to do this. We had them all volunteering for these Guantanamo people anyway. They'll bring a Writ of Habeas Corpus saying the government has no right to hold — the ancient Writ of Habeas Corpus — no right to hold the body. There's no legal right to hold him if he's acquitted. GIULIANI: And I don't think that will happen. It could happen. GIULIANI: Now they're going to use our criminal justice system against us. GIULIANI: Because we made the same mistake we made in 1993. We think they're criminals. These are soldiers in a war against us. And the rules of war should apply. CAVUTO: ... well Mayor, you don't need to worry, because that will be brought out. And if that is the case, these guys will — will do the time. And if he has his way, get executed. GIULIANI: Well — but the rules that will apply to them, are the rules that we apply to civilians who are alleged to commit crimes. We should be applying the rules that apply to soldiers in a war against us who are alleged to have committed crimes or acts against us. They are not entitled to the protections that civilians get. Again this would be like trying the people who attacked us in Pearl Harbor, you know, in a Hawaii court as opposed to dealing with them as war — warriors who were — who were — who were soldiers then. Had be tried — tried under those rules. This is a very big mistake. It is unnecessary to do it. CAVUTO: So what do you think they're doing and — and in these terror bastions? CAVUTO: How do you think they're looking at all this? GIULIANI: I think they're looking at it by having elevated political correctness, having elevated what other people think of us, and having elevated concerns about offending people in the Islamic community. I think we offend people in the Islamic community by being so condescending as to think that decent people of the Muslim religion can't distinguish between my saying that Islamic terrorism is evil, and that the Islamic religion is a good religion. And anybody that's confused about that, well that's a problem for them. Not for me. CAVUTO: But you're saying in the end not that New York is — wasn't already a target. CAVUTO: It's just improved its — its target potential. 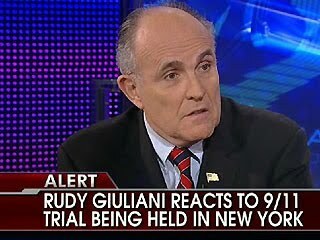 GIULIANI: For a reason that is avoidable. I am more than willing to accept — I did when I was mayor. I'll do it as a citizen in New York. Any of the reasons that are necessary. I refuse to accept one that's unnecessary. One that is a discretionary choice of political ideology which is run amok as opposed to common sense. And a sensible application of the law. CAVUTO: Do you think Eric Holder cares about any of the things you just mentioned? CAVUTO: So you think this is a prevailing lighthouse here from the top guy down. GIULIANI: Absolutely. I think it comes right from the top. Absolutely. I mean, it began by telling us we can't describe this as the war — a war on terror. The failure to use the word "Islamic extremism. " The failure immediately to point out that Hasan's attack was for the same reason as the attack on Sept. 11, as the attack in 1993, as the attack on the Cole, coming out of the same movement — Islamic terrorism. That should be distinguished at every point from honest decent Muslims. I was the first one, long before Barack Obama was ever thinking about running for office. When this city was attacked in 1990 — in 2001, I was the first one to go on television at night and say, "I don't want to see a reaction against decent Arabs and Muslims, cause they have no part in this. " But I also don't want to see ourselves close our eyes to the fact that this is Islamic terrorism. GIULIANI: That's what it is. If we do it — if we are in denial — we're going to put ourselves in greater danger, and we're going to have more casualties. CAVUTO: Mayor, thank you very much.